Got an anniversary coming up? Or is your special someone celebrating a birthday milestone this month? Tempting as it may be to go with what’s trending, we have to admit that getting all dolled up for a night of dinner and drinks still gives us that classic kilig feeling. And nobody knows love and romance quite like the French. 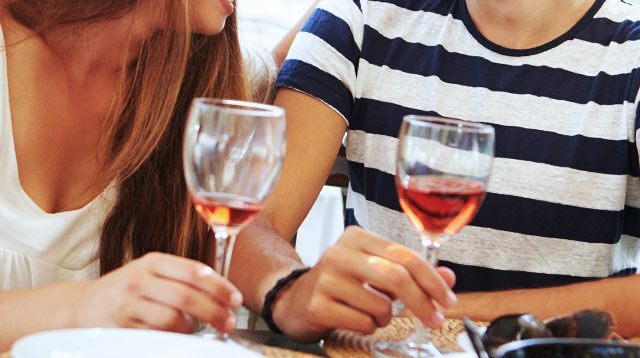 Ahead are three date ideas guaranteed to make your night ~extra~ memorable. 1. Enjoy a four-course meal. On July 21, treat bae to an exclusive four-course dinner of Chef Terrien’s signature dishes and premier wine selection. Cheers to a night you won’t forget! 2. Listen to live music outdoors. When was the last time you were serenaded? Dressed in your favorite all-white outfit, head over to the Sunset Bar on July 28. Not only will you be treated to live music, you’ll also get to indulge in their barbecued specialties paired with a Rose from the South of France! 3. Go to your first wine tasting. If this is something you’ve always wanted to try, take the leap and learn about the art of wine from an expert. Explore six Bordeaux wines with connoisseur Tanguy Gras on July 29 at 4 p.m.
Limited seating available so be sure to book as early as possible! Visit Sofitel Philippine Plaza’s Facebook page for more details.